In short, businesses these days live and die by their web design. This is an incredibly important investment and one that can provide incredible ROI if you get it right. If your budget is tight we offer a leasing program that allows you to get your custom website created. You can purchase it at any time during the lease and we will allow some of the payments that you made to go towards the purchase price. 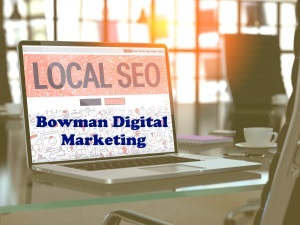 At Bill Bowman Marketing we understand every aspect of great web design, development and marketing and can build your site in such a way that it will be perfect for expanding and growing your business. We create sites that work perfectly, that look beautiful and that thrive on Google. A great website needs to make the right impression as soon as you load it up. This means it should look highly professional, modern, eye catching and crisp and should feature high resolution images and an intuitive layout. At the same time, it should be effective in immediately communicating what your website is about, who it’s aimed at and what you’re selling if you’re a business. If someone lands on your page and they don’t instantly know what it is that you’re selling/providing then they will likely leave within the minute. Then they need to know where to click, how to get the information they want and what to do next. Don’t be mistaken a minute is actually a relatively average amount of time for punters to spend on any website!